Greetings & Happy Friday! Its been a while since I've written. My schedule has been a little crazy and I haven't had time to be still and reflect on a wine. Perhaps thats why I didn't go to work today. I wasn't as lazy as I wanted to be but I did take a cat nap. Now i'm bright eyed with new bubbles. My brother has been wanting to show me the Streets Market and Cafe near his job in NOMA. This quaint convenience store is attached to an apartment building and has wine, beer, cheese, baked goods, fruit, and more. The wine selection was quite impressive. I discovered new bubbles and I had to share. The nose on this wine is lovely. 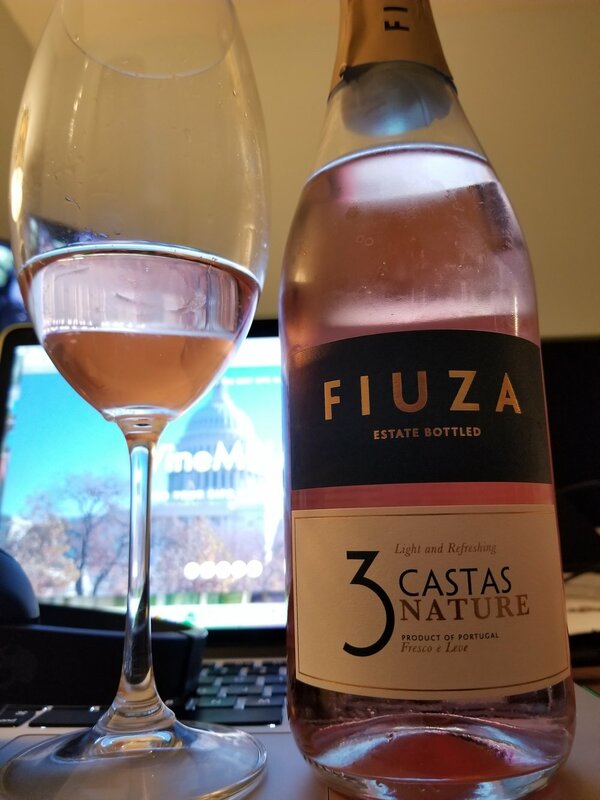 I get the typical strawberry flavor like most rosés but there is toasted nuttiness that I like. Almost like caramel and fresh flowers in the same glass. On the palate there is high acidity with unripe berries. This wine is a perfect aperitif and would pair nice with smoked salmon, olives and maybe a goat cheese. Ooo and maybe clams and oysters. Dont forget to check out The Swirl Suite Podcast. Also, I've started producing other projects. Give a listen to the Wine O'Clock Podcast. Lastly, if you are in the DC area, come check me out at Club Barre every third Friday at Bikram Yoga Ivy City. We sweat and then we sip. I provide a wine tasting with a dash of wellness.